By W S Merwin. A Shape of Water was designed and composed in Cloister Lightface types and then printed on Twinrocker handmade paper in an iron handpress. It includes four lovely engravings by Abigail Rorer. The sheets were bound by Priscilla Spitler in quarter-cloth with decorated papers by Pamela Smith covering the boards. 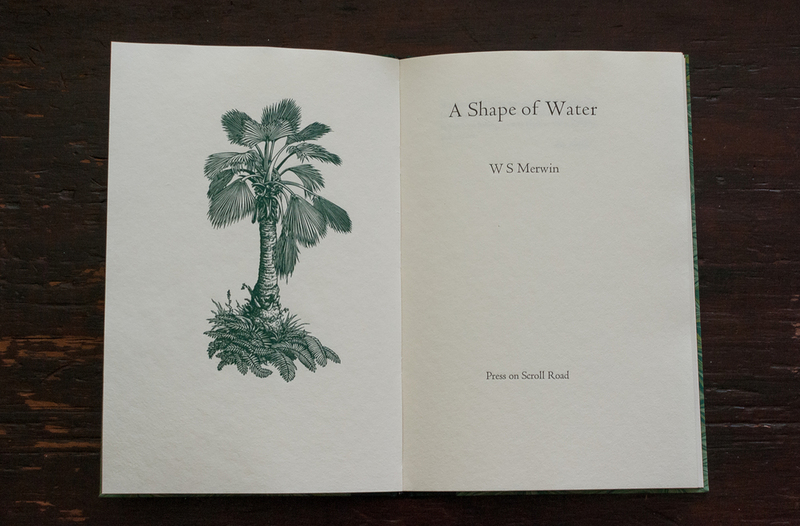 9.375" x 6.25", 24 pages, in an edition of sixty copies. $235.00.